Congrats – your life just got easier. This page will take you through what you need to know to get your staff up and running with the training. 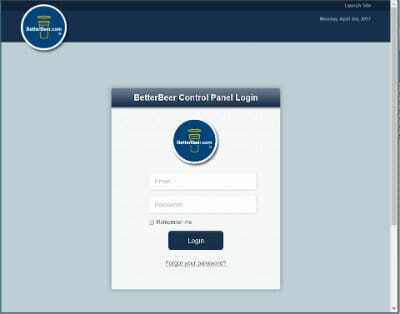 You will receive an email from us letting you know that you have been set up as a user in our system. Copy the password – make sure not to get a space before or after the characters. There is a link in that email which will take you to the registration page. Click the link. Make your way to the login page. 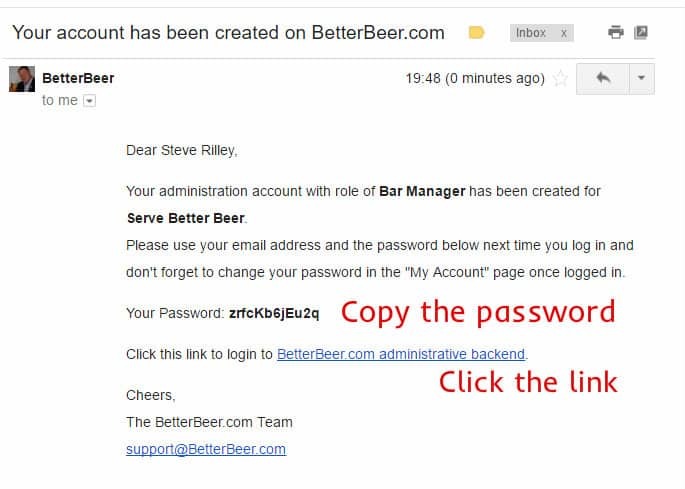 Use your email and the password from the email to login. Once logged in, you’ll be taken to your dashboard. Click on the white triangle in the orange tab on the left side of the screen. There are two ways to assign passcodes – individually or as a group (multiple assign). This video explains both ways to assign to your staff. 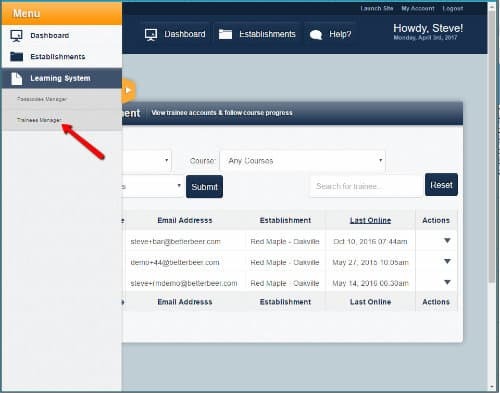 From the menu, you can track your staff’s progress by clicking on Training Manager. I've been bartending for 20 years, will I learn anything? We guarantee it. If you don’t learn at least three techniques to improve quality, sales, and tips, we’ll refund your money. You have 14 days to complete the course which takes most people 30 minutes to do. Yes, at the end of each lesson. Six to ten multiple choice questions. You can not advance to the next lesson without completing the test. Does it work on an iPad or tablet? Yes, it works on desktops, laptops, and tablets. It will work on phones starting June 2017. Do I have to do it all at one sitting? Absolutely not. You can login and out as many times as you like. You pick up right where you left off. Do I get anything once I finish? Fewer headaches, less downtime, and lower spillage. 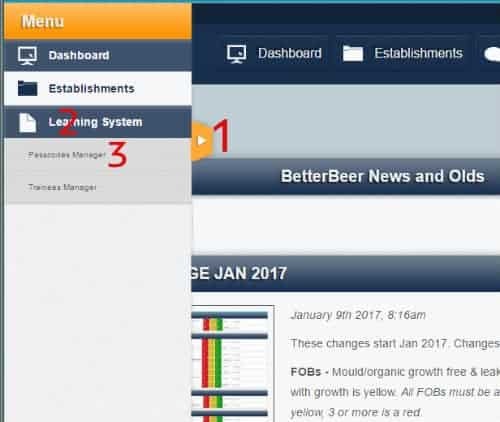 BetterBeer.com is a brewery-neural company who works with all brewers, big and small. Molson Coors own the rights to the Sub Zero technology and the name, we are providing training for their system. If you have a unique draught system and would like to provide third party training for it (it’s less expensive that doing it in house) then please reach out to us here. Need help? Click the chat icon, top right corner.